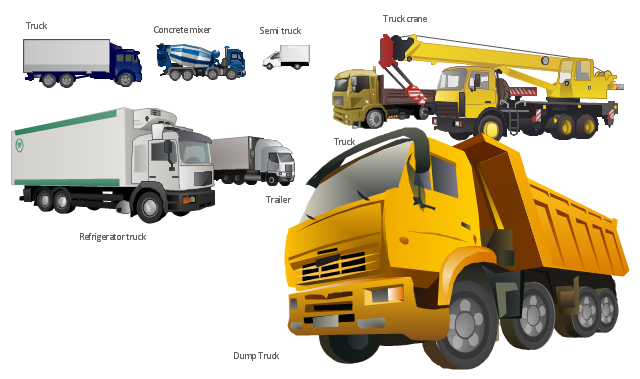 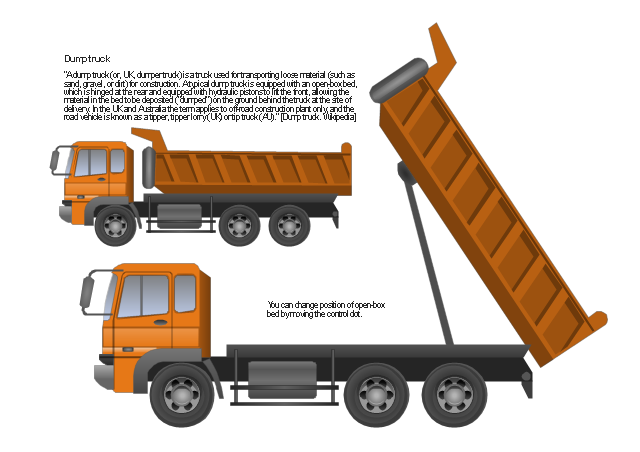 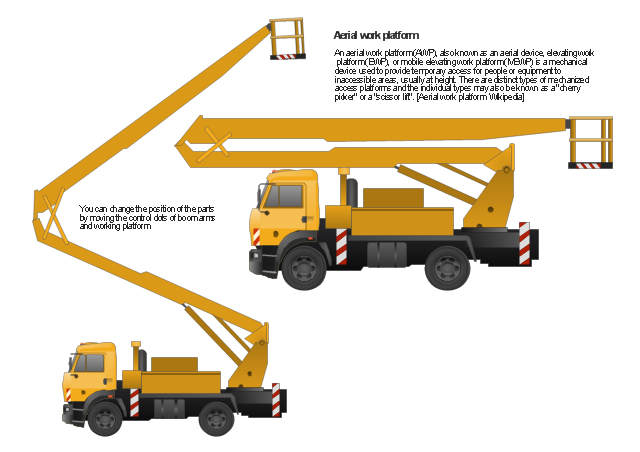 The vector stencils library "Industrial transport" contains 11 clip art images for creating heavy-duty vehicles illustrations, presentation slides, infographics and webpages using the ConceptDraw PRO diagramming and vector drawing software. 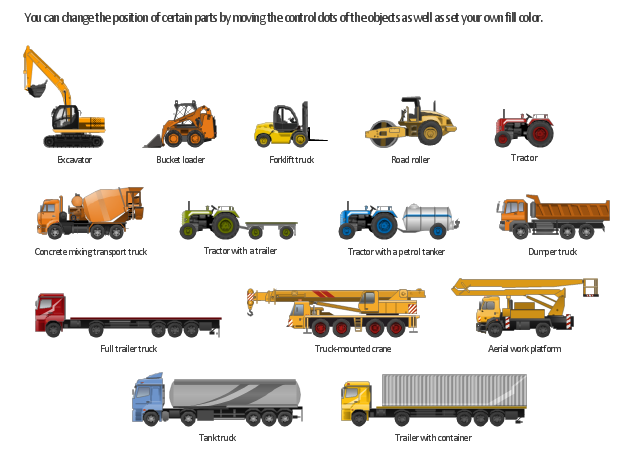 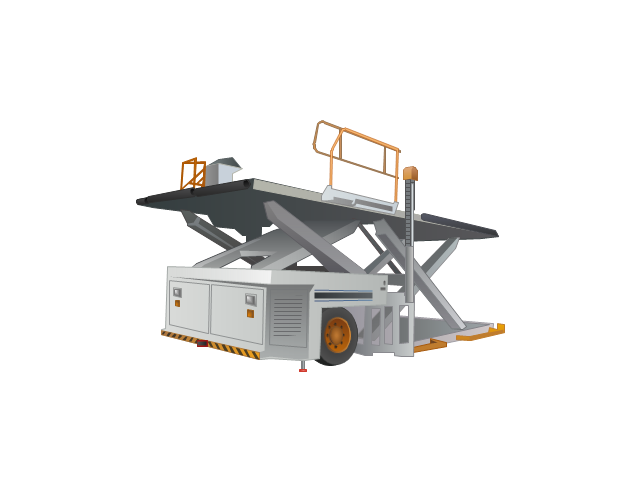 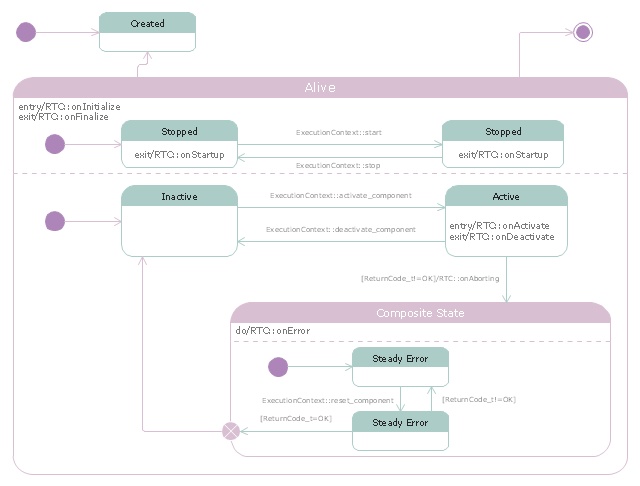 The vector stencils library "Industrial transport" is included in the Aerospace and Transport solution from the Illustrations area of ConceptDraw Solution Park. 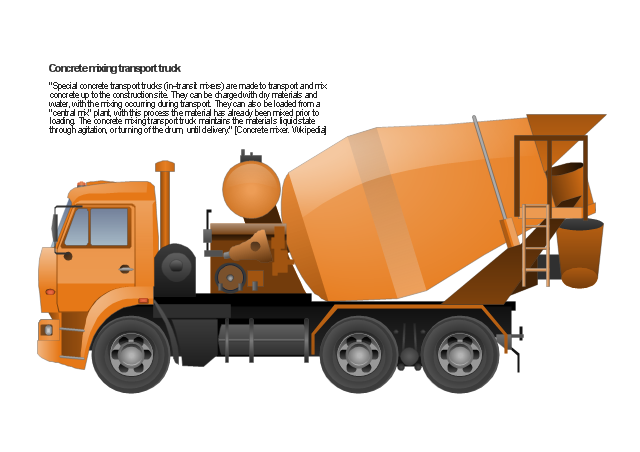 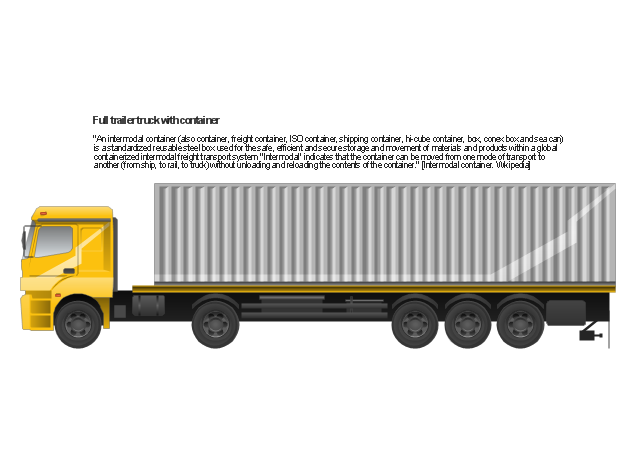 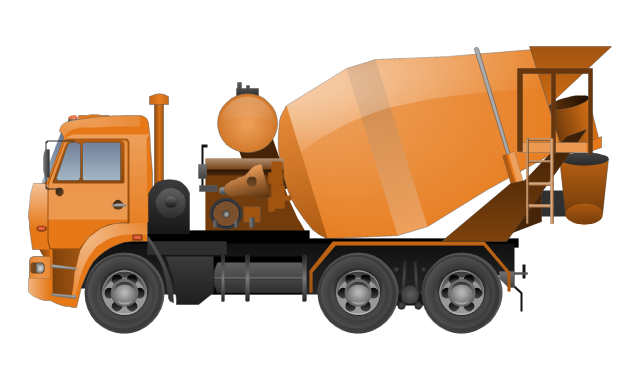 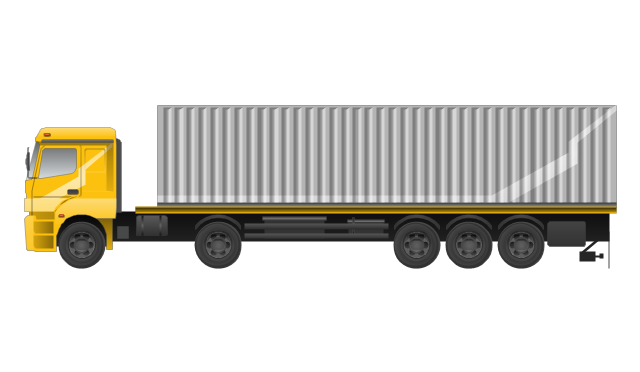 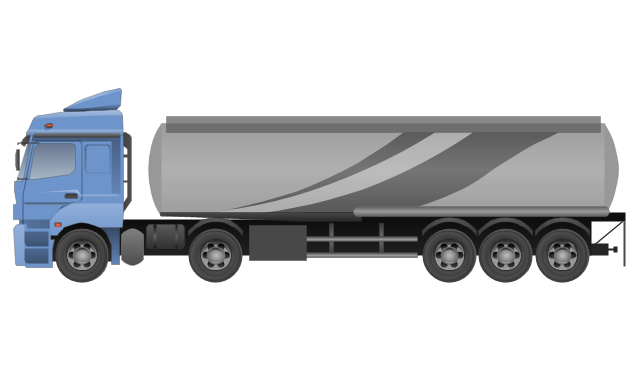 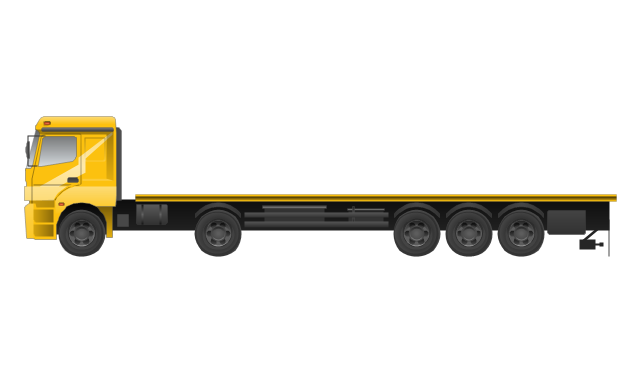 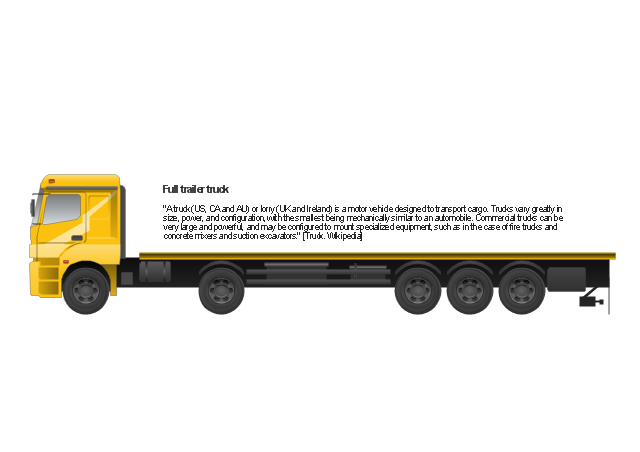 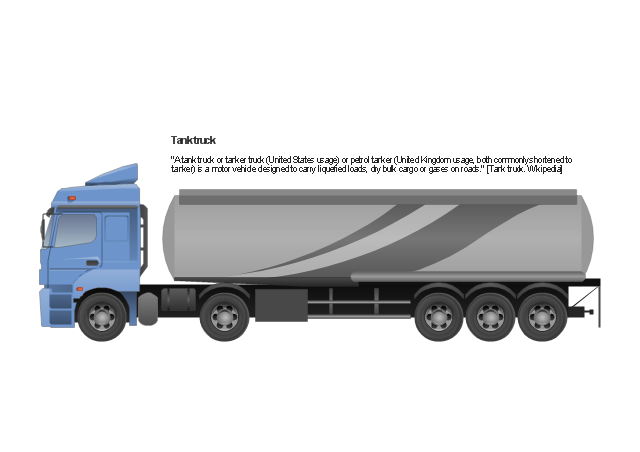 Use the vector stencils library Industrial transport to illustrate your documents, presentations and websites with truck images using ConceptDraw PRO diagramming and vector drawing software. 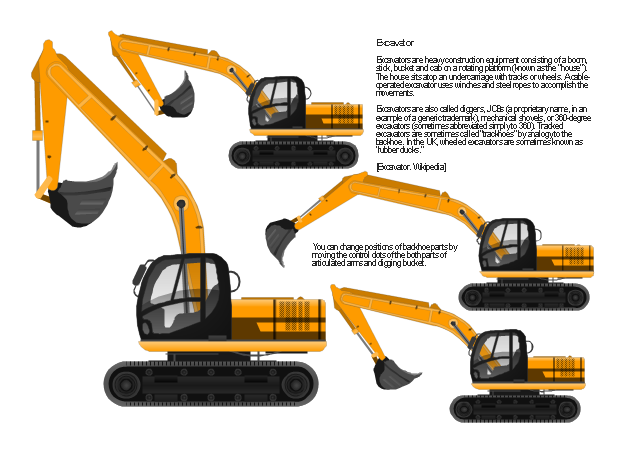 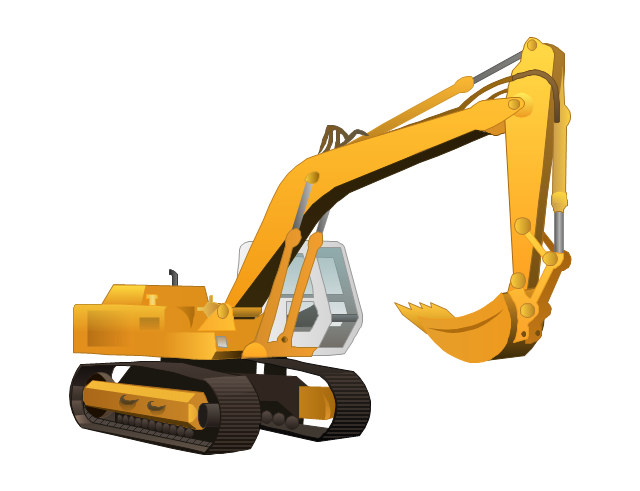 "Heavy equipment refers to heavy-duty vehicles, specially designed for executing construction tasks, most frequently ones involving earthwork operations. 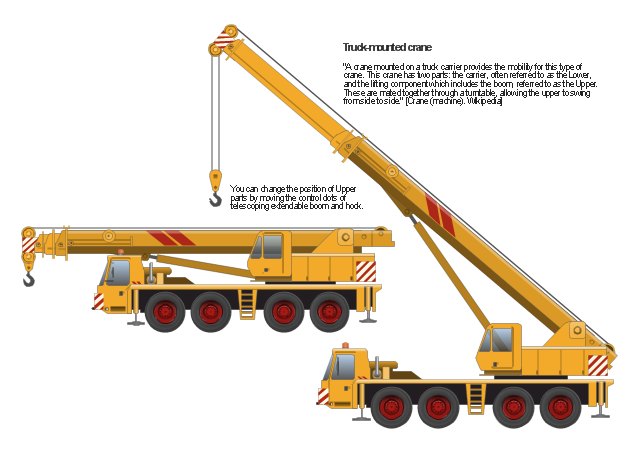 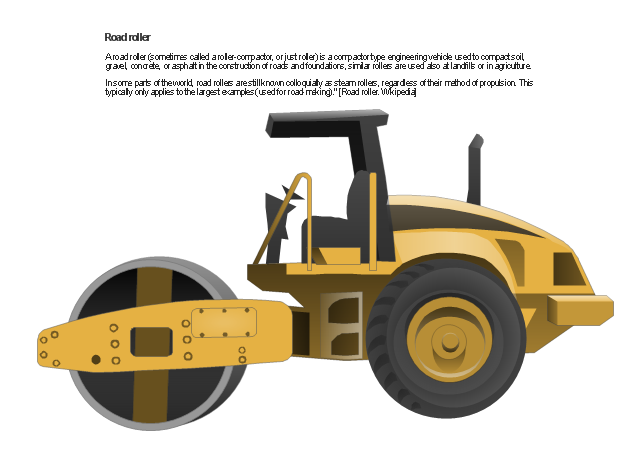 They are also known as, heavy machines, heavy trucks, construction equipment, engineering equipment, heavy vehicles, or heavy hydraulics." 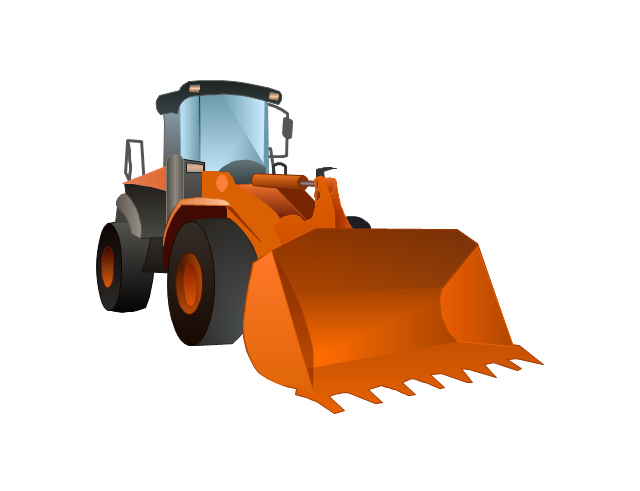 [Heavy equipment. 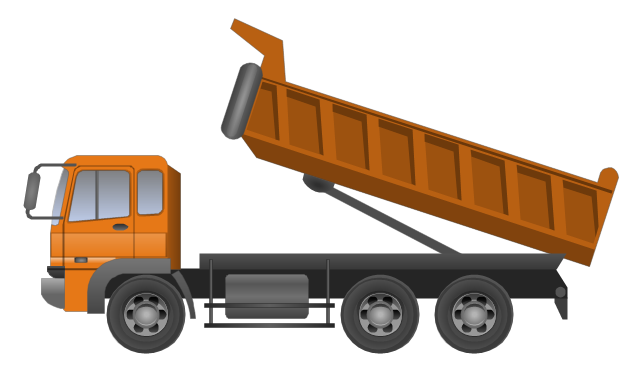 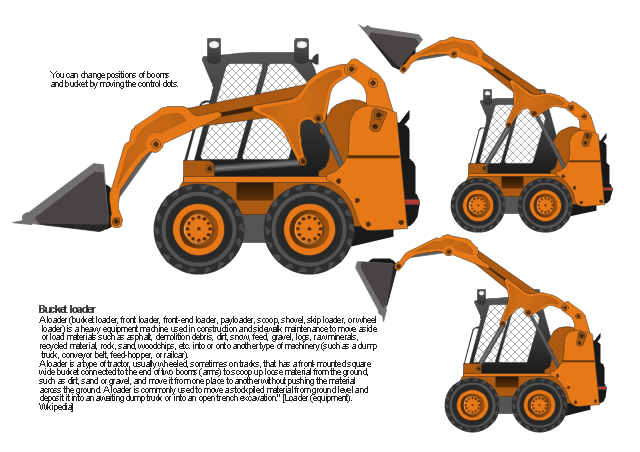 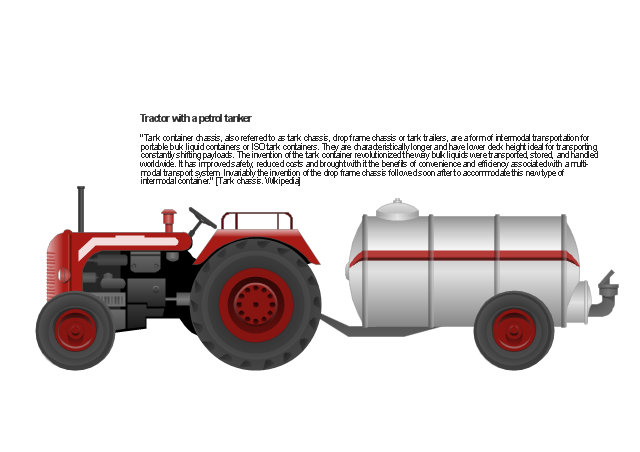 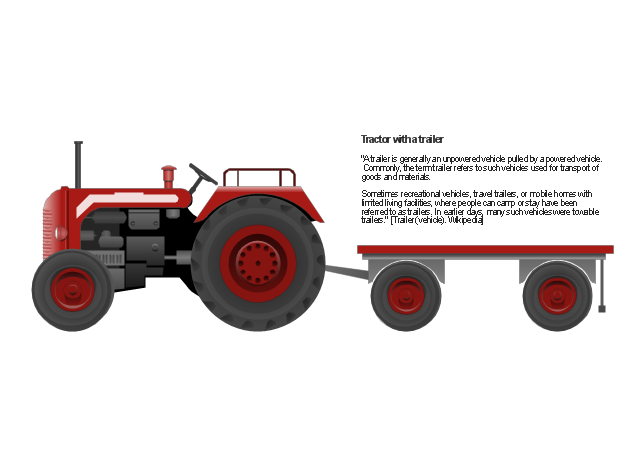 The vector stencils library "Industrial vehicles" for the ConceptDraw PRO diagramming and vector drawing software includes 14 images of heavy-duty vehicles: excavator, bucket loader, forklift truck, road roller, tractor, tractor with a trailer, tractor with a petrol tanker, dumper truck, full trailer truck, trailer with container, tank truck, concrete mixing transport truck, truck-mounted crane, aerial work platform. 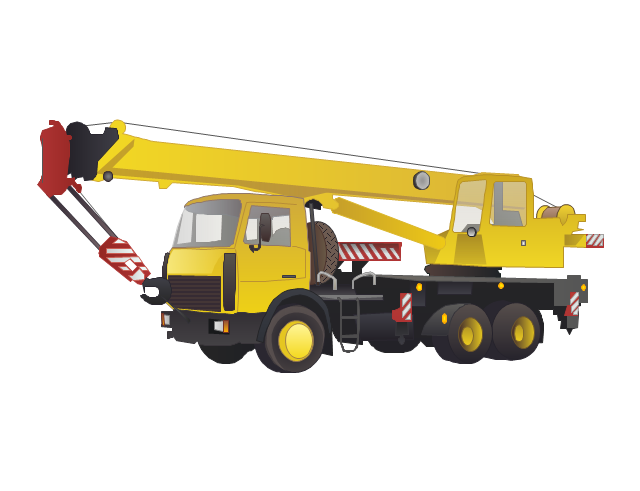 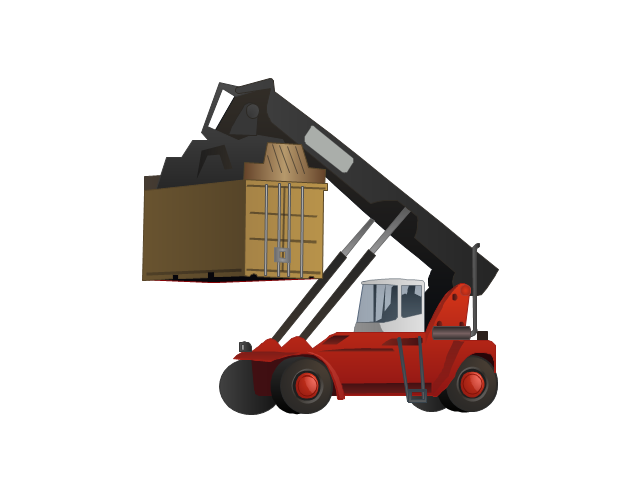 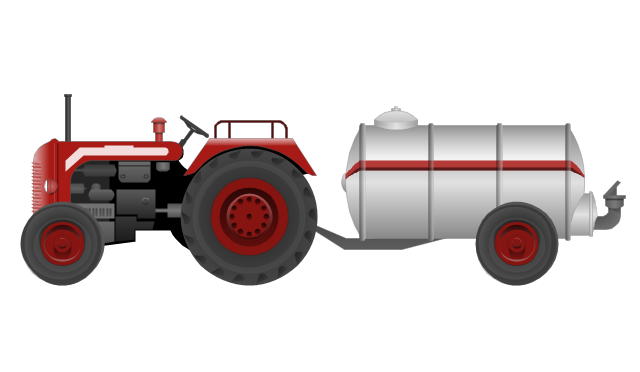 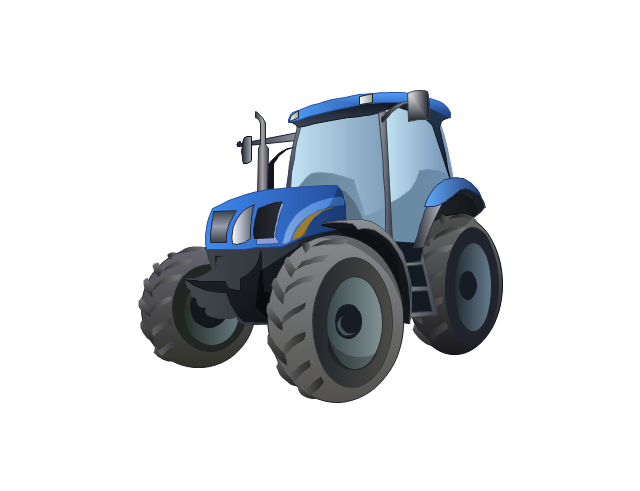 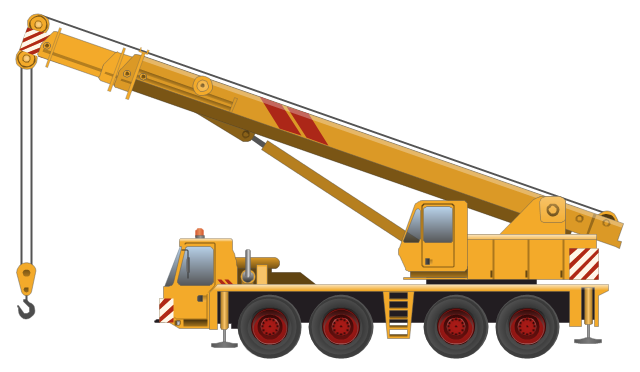 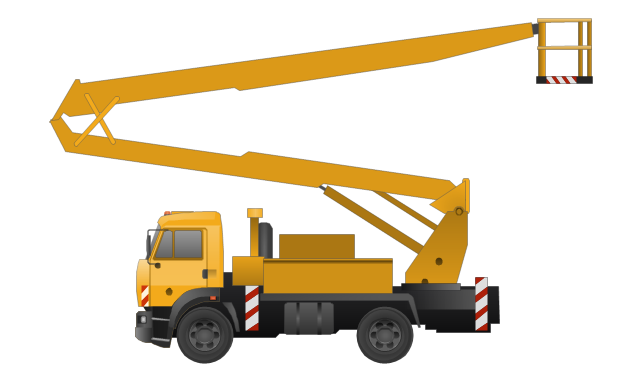 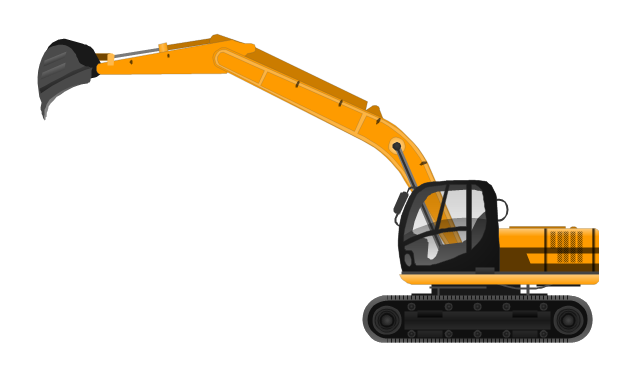 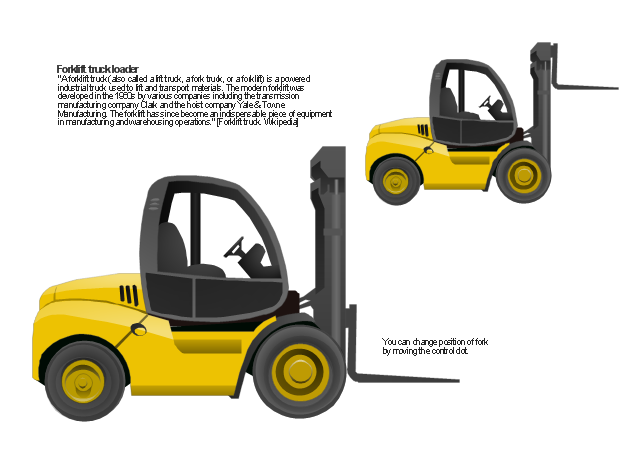 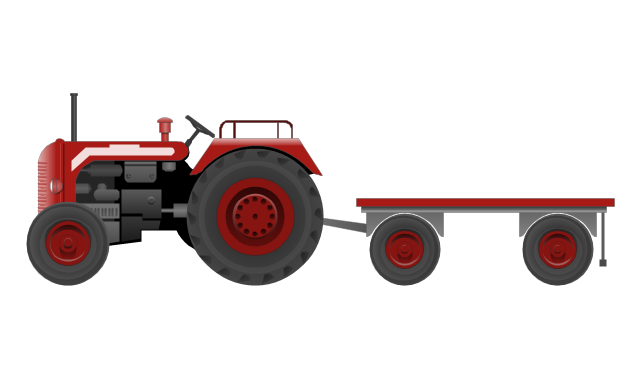 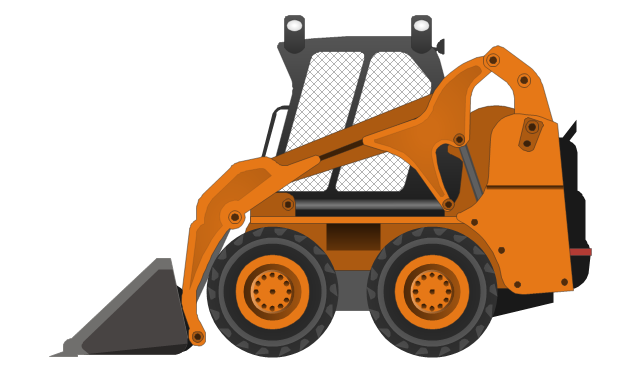 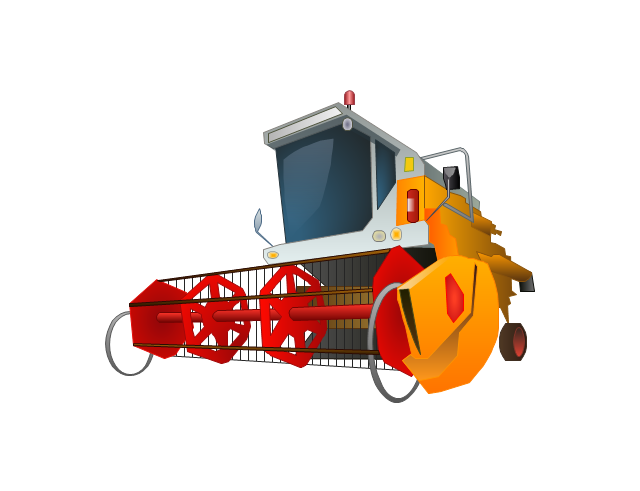 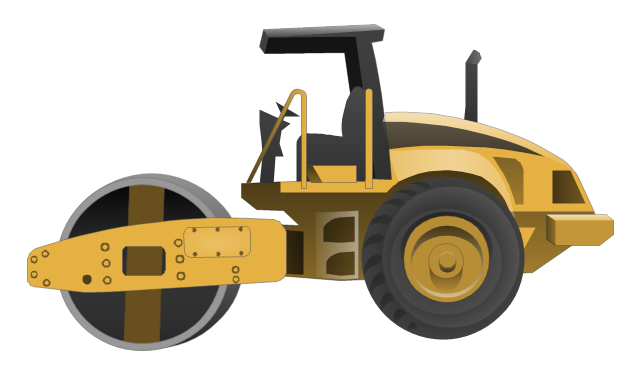 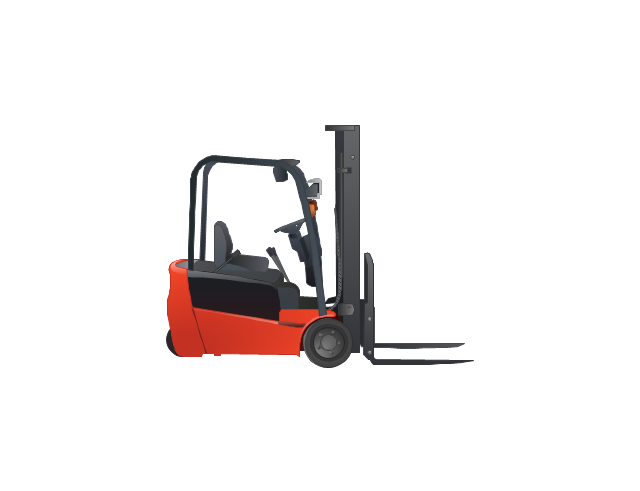 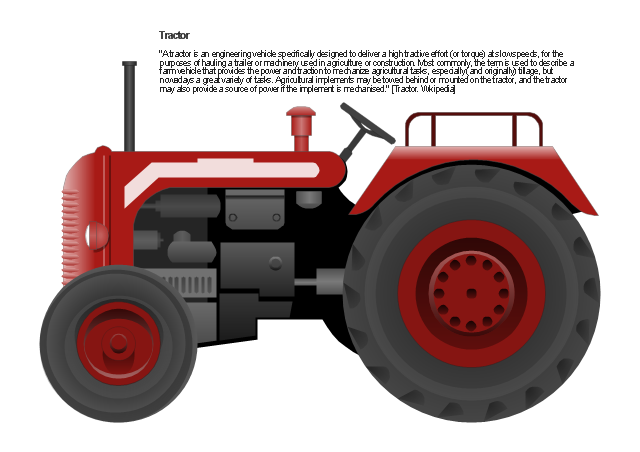 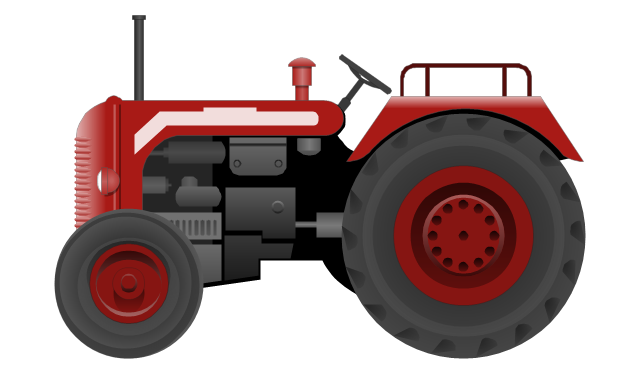 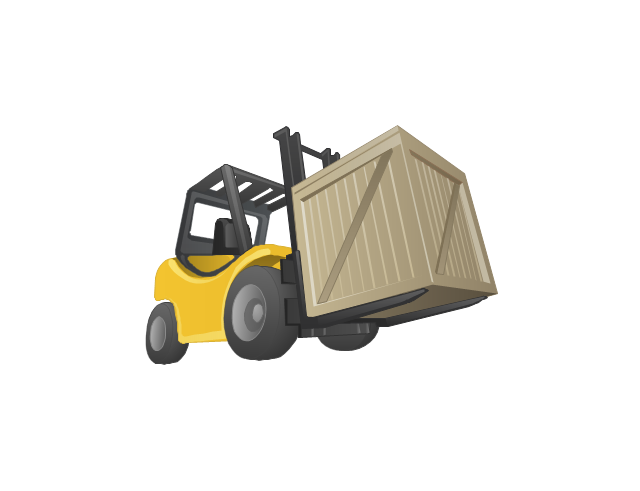 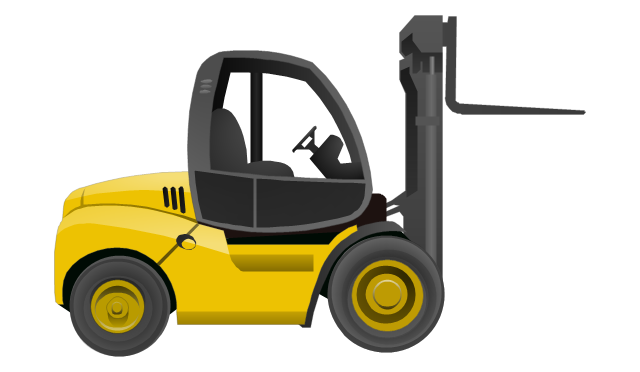 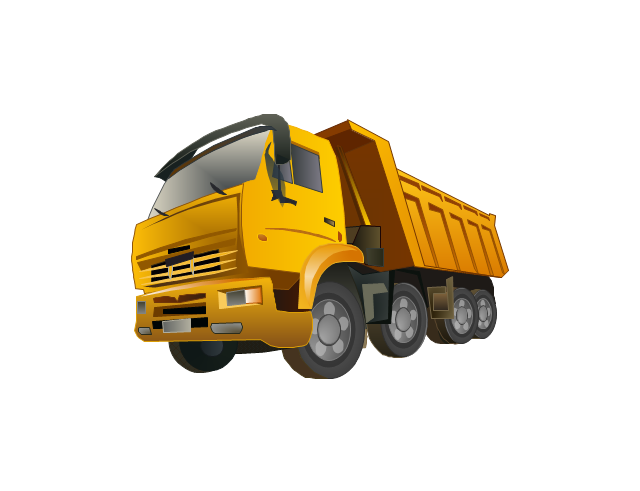 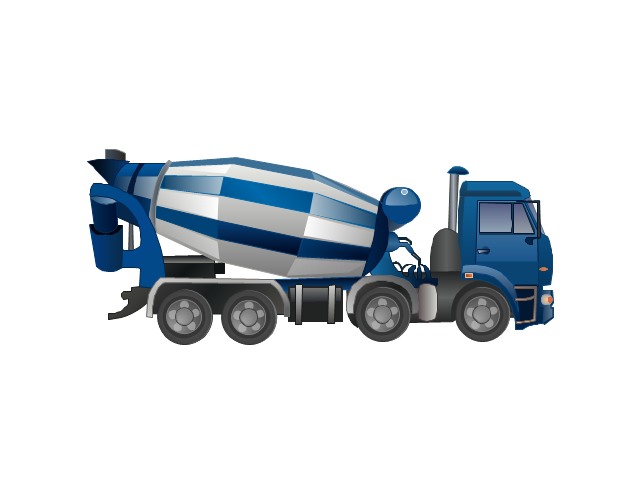 The vector stencils library "Industrial vehicles" contains 14 clipart images of industrial and building vehicles for drawing illustrations. 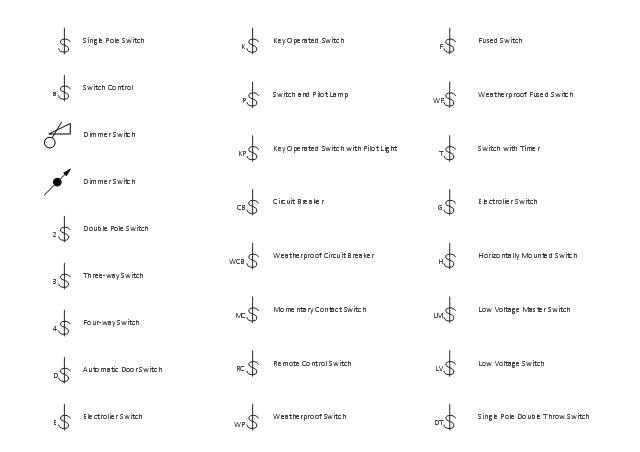 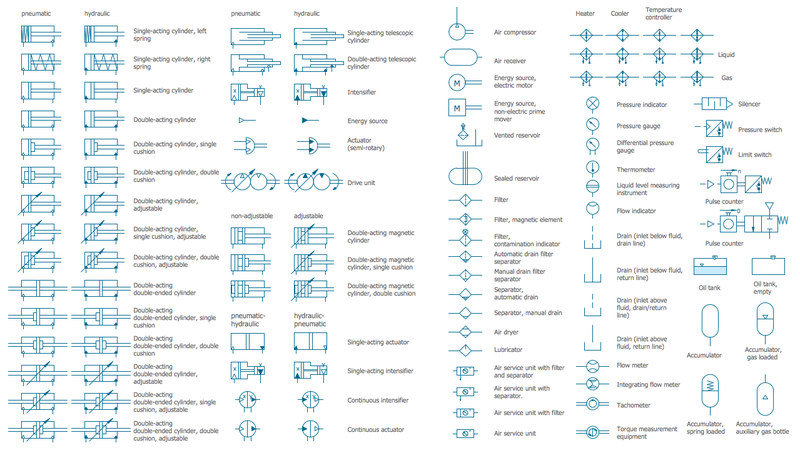 The vector stencils library "Switches" contains 25 symbols of electrical and light switches and breakers. 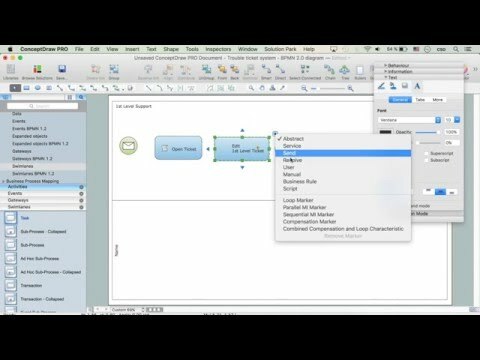 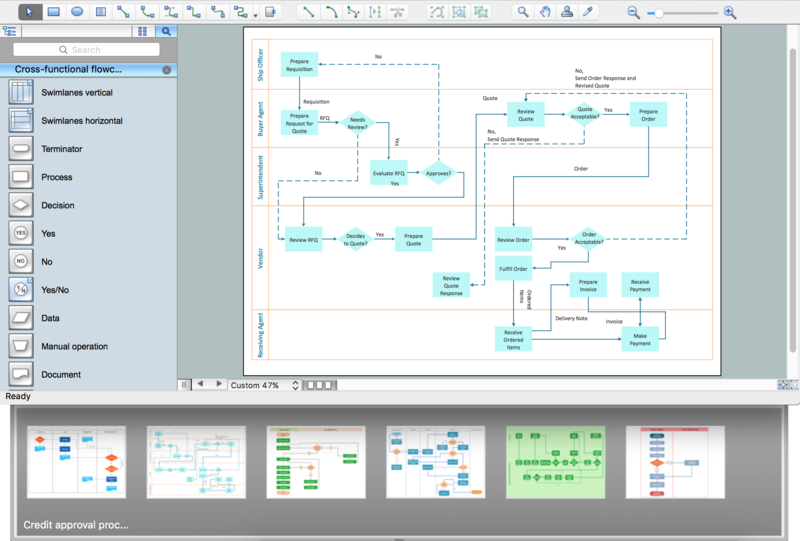 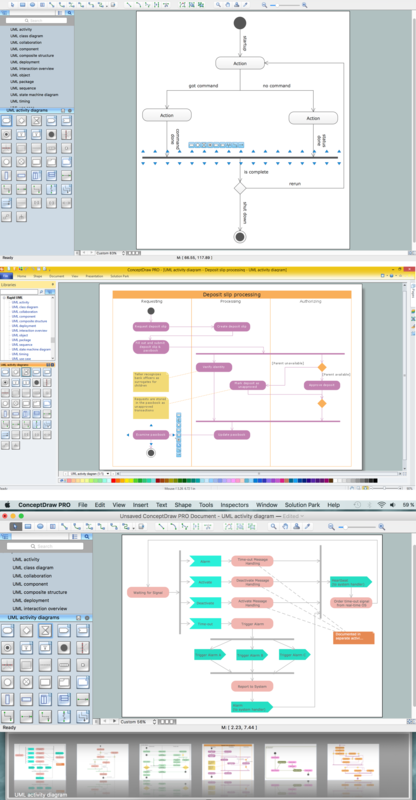 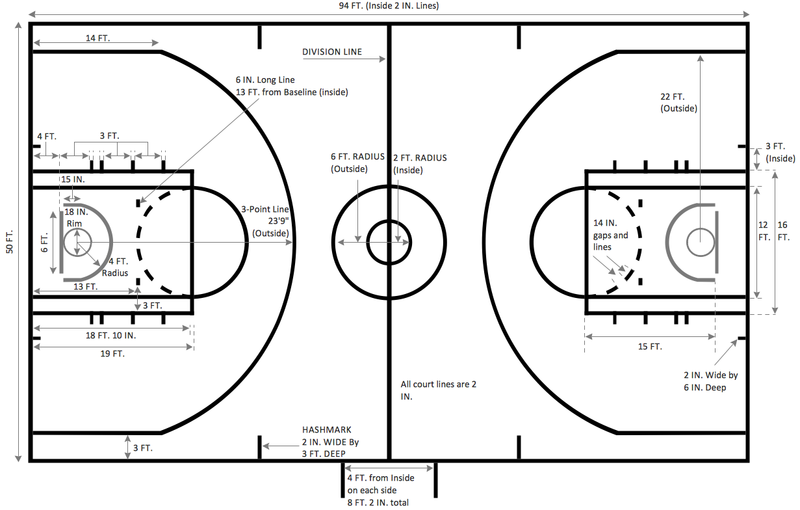 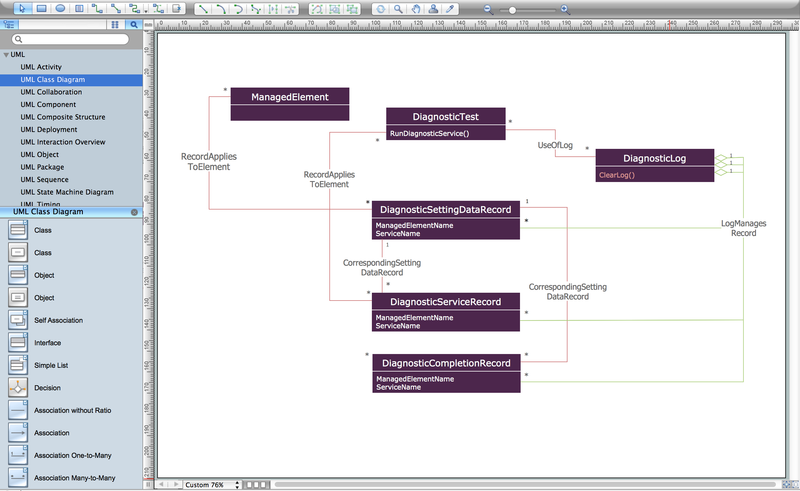 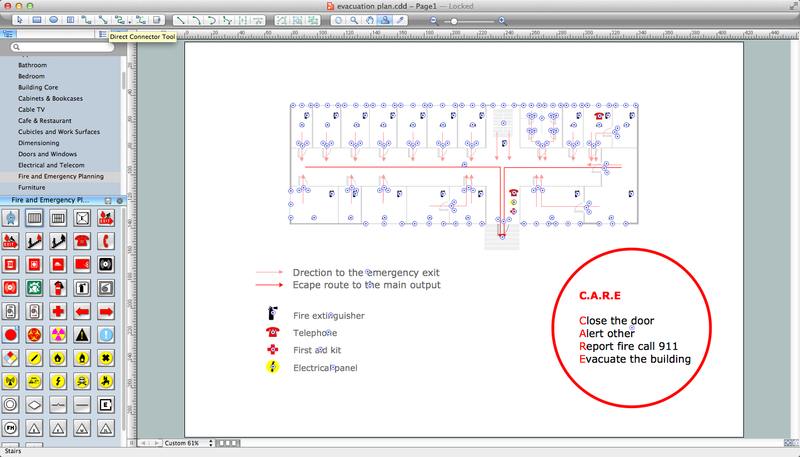 Use the design elements library "Switches" for drawing light switches layouts, electrical and telecommunication equipment floor plans for building design and construction using the ConceptDraw PRO diagramming and vector drawing software.